For the second year, Escape Pod, The Science Fiction Podcast Magazine, is celebrating women and non-binary authors through a series of episodes called Artemis Rising. The latest show, Episode 520, includes an Escape Pod exclusive story called "Singing to the Stars"
written by Alana McFall and narrated by Amanda Fitzwater. It was my pleasure and privilege to guest host this episode. If you listen, I hope you enjoy! You have an excellent broadcasting voice, Amy, as I'm sure I've said before! This is amazing -- I love everything about it! 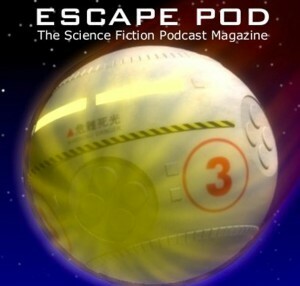 I haven't listened to Escape Pod in quite a while, and I cannot wait to listen to this episode! Oh, thanks so much! :) I do hope you like it. *fingers crossed* I love the whole Artemis Rising idea, and I felt very honored to be invited to participate.